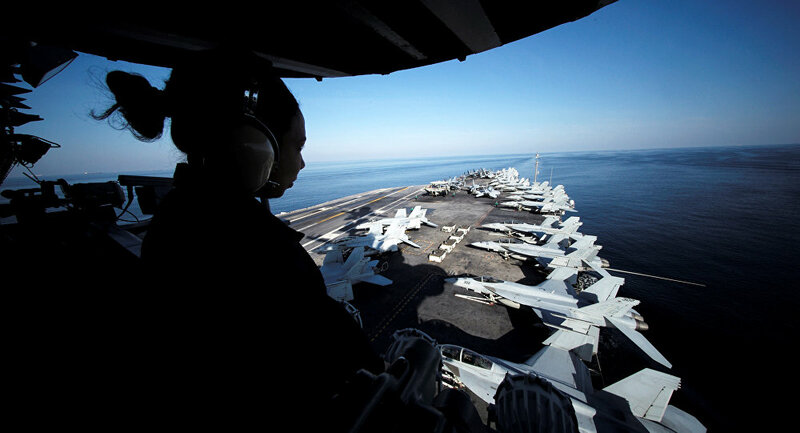 The chairman of the Chiefs of Staff of the Iranian Armed Forces, Major General Mohammad Baqeri, told reporters on December 30 that the presence of US forces in the Persian Gulf only fuels insecurity, referring to the recent arrival of the USS John C. Stennis carrier strike group. At the same time he noted that the withdrawal of American troops from Syria, where they were present "without the consent and approval of the [Syrian] people" will "lead to increased security and peace" in the whole region. Previously, the commander of the Islamic Revolutionary Guards Corps (IRGC), Major General Mohammad Ali Jafari, said that the USS John C. Stennis carrier strike group arrival in the Persian Gulf is aimed "at deceiving the regional states and pretending that they establish security for these countries." The USS John C. Stennis carrier strike group arrived in the Persian Gulf on December 21 after a prolonged period of the absence beginning in 2001. Its arrival was preceded by warnings sounded by Iran, which threatened to block the Strait of Hormuz — the only maritime exit from the Persian Gulf and a corridor for one-third of the world's oil exports.